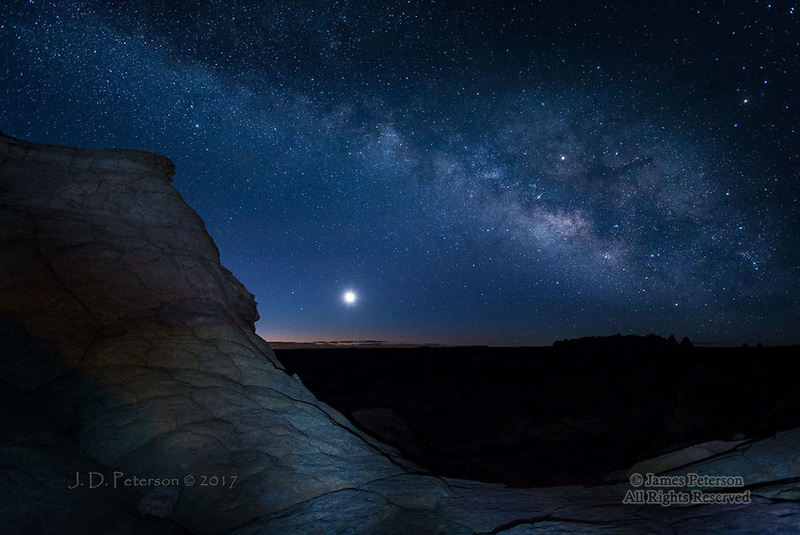 Milky Way and Moonrise, Coyote Buttes South, Arizona ©2017 James D Peterson. This scene, in the Vermilion Cliffs National Monument, was captured before dawn in late Fabruary when a thin crescent Moon was rising beneath the Milky Way. The Moon (even its dark side) is so much brighter than the stars that it overwhelms the ability of the camera to capture its details. We used just a bit of light painting on the foreground ridge to reveal its texture.